Beck has kept quite busy the last few weeks, literally popping up everywhere in continued support of his latest album, Morning Phase. Just this month alone, he’s wow’d audiences at both Pitchfork Music Festival and Forecastle Festival, rocked on-stage with Jack White in Providence, covered Prince in Montreal, contributed to Jenny Lewis’ new record and, just last night, appeared on The Colbert Report. 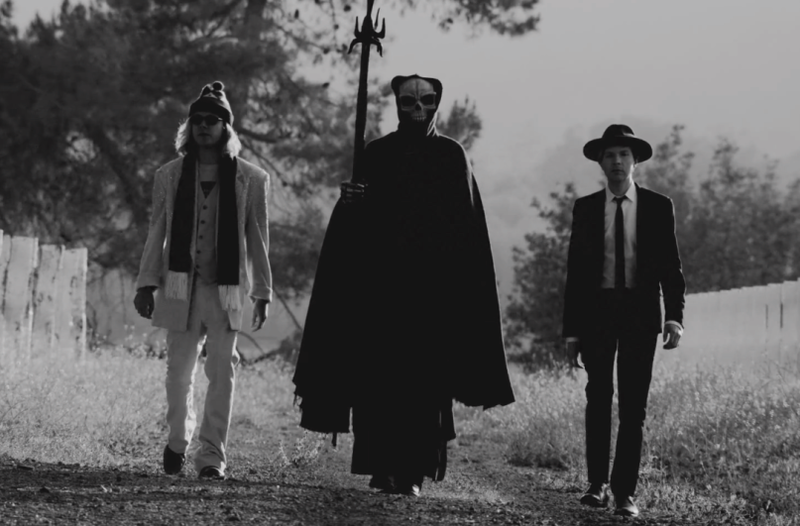 Today, Beck continues his red-hot streak with a new video for the beautiful Morning Phase track “Heart Is A Drum”. Directed by Sophie Muller, it’s packed with all sorts of elaborate imagery and intriguing characters. Among them: astronauts on swings, Beck as a young child, the mysterious death of a young woman, and “Loser”-era Beck walking alongside Morning Phase-era Beck and the grim reaper. Is this Beck’s attempt at an art school horror film, or some sort of Looper remake? Watch the video below and decide for yourself.